Excel Recruitment are currently seeking an enthusiastic Convenience Store Manager for our client in Cork. The ideal candidate will be passionate about grocery retail and exceptional customer service. This long-established retailer has a great reputation to work for. The successful applicant for this Store Manager Job should be customer-focused, motivated and eager to work within a fast-paced environment. If you have the skills and experience and are interested in this Convenience Store Manager job, please send your CV in complete confidence to Nikki Murran in Excel Recruitment. 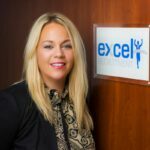 Excel Recruitment is Ireland’s leading Retail Recruitment company and we are always happy to take a call on 01-8148747 from any retailers to discuss the various retail jobs we have across all Ireland.